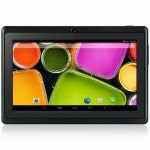 Your Online Store for Handy EBooks on All Topics! Throughout this book the term Fijian refers to the indigenous people of Fiji. For any one wishing to gain a general understanding of Fijian Culture and Customs, it can be a challenge finding useful information or guide as what to learn in order to be able to conduct oneself when amongst the people of Fiji. As a Fijian, I know I have always been keen to have an accessible handbook from which I could quickly glean and learn the basics about my Fijian culture, especially those elements that form part of everyday life. In my work, I have often been approached to provide advice, deliver language lessons and presentation on Fijian culture or translate Fijian materials. I have been fortunate to have learned and lived my culture all these years and am now keen to share it with those wishing to gain some basic understanding. 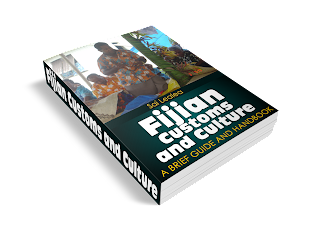 to show you how to get started in developing a basic and general understanding of key aspects of Fijian culture and customs. It is not intended as a comprehensive guide but enough to be able to gain an appreciation of its importance and significance to Fijians. In this book I have attempted to bring together and summarised materials that are contained in various publications into one to serve as a guide and handbook. It is my hope that with the topics covered in this book, those of you interested in learning and understanding Fijian culture and customs will at least have access to material that would come in handy and useful. GET YOUR COPY OF THE E-BOOK TODAY! Fijians belong to one of the 14 provinces (yasana) in Fiji that form part of three confederacies (matanitu) - Kubuna, Burebasaga, Tovata, which in prechristian times, were separate states (vanua) in themselves ruled by high chiefs. Each province is further divided into districts (tikina) which in turn comprise a number of villages. At the village level, further groupings occur at the Yavusa which comprise the largest social unit often from a common deified ancestor called "kalou vu". Next is the Mataqali which make up a group of families who become the custodian of a specific traditional role and task within the Yavusa. Land holding is organised within the Mataqali which in turn are made up of Tokatoka who are related families or Vuvale. 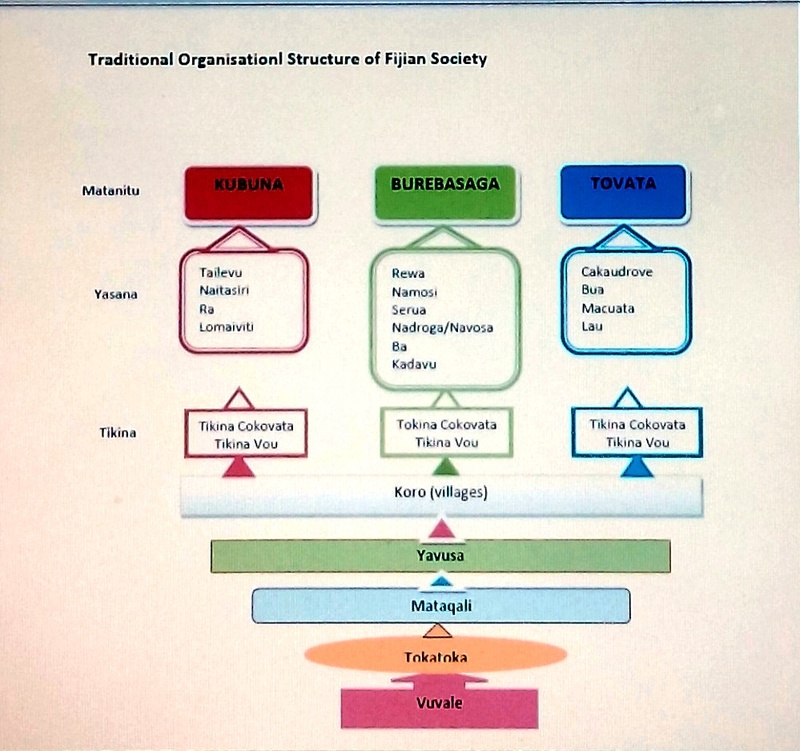 During formal presentations and ceremonies Fijians recite and refer to these traditional affiliations and references denoting their cultural roots and customary status. 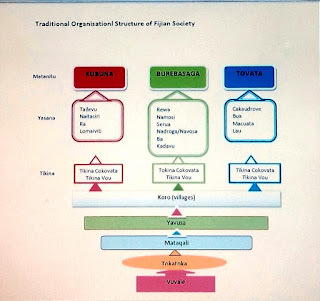 This is done by reference to the chiefly status at each level of Fijian traditional organisational structure beginning at the village level right to the confederacy or vanua level. In reciting the chiefly status, reference is made of the chiefly tribe and title. 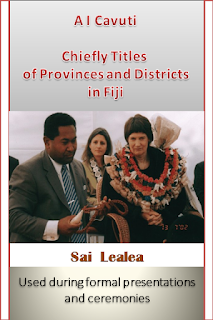 When attending a Fijian ceremony or visiting a Fijian family or village, you will be expected to make a presentation where you will need to know the chiefly titles of those you’re visiting. Being able to refer to it will convey a good impression on your hosts and lead to a comfortable and respectful interaction. A i Cavuti is the term denoting the chiefly titles of provinces and districts in Fiji. Find out all about it in the ebook below! attempt to prolong it, to stay in power illegally and rule over the people and country. A dictatorship is one of the most harmful types of governments, as it leaves the power in the hands of a very few number of people, who use that power for their own personal motives. They often seize power illegally using force and weapons. More often, it is the military that carry out the illegal takeover of power from elected governments by virtue of their possession of weapons and personnel under various pretexts. 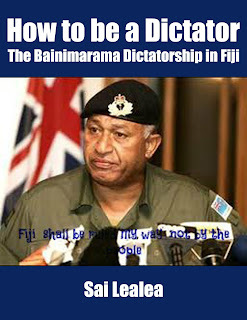 This was certainly the case in Fiji on December 5th 2006, when the military under its commander, Frank Bainimarama, removed the government of Prime Minister Laisenia Qarase in a coup. Since then, Fiji and its people have been ruled by a military dictatorship. To remain in power, force has been widely used to suppress and curtail personal freedom and the rights of citizens. Physical abuse, torture and deaths have resulted in a number of cases. Significant changes have been carried out in the institutions of government and public service. The rule of law has been eroded and citizens face ongoing restrictions in how they live their lives. It is far cry from the aspirations of Fiji’s population to live and be governed by a government of their choice and where the rule of law applies to all. Bainimarama and his supporters are now attempting to introduce a new constitution that strengthens their position and ability to continue to intervene in the future political affairs of Fiji. A new electoral system is to be developed and to endear themselves to the people, generous social welfare spending and an extensive capital works programme are underway. This has largely been funded with loans from overseas countries further adding to the level of indebtedness. In foreign relations, suspension of membership from longstanding associations has necessitated the establishment of new alliances. Relations have been established with nontraditional and far-flung nations, some with unsavoury reputation such as North Korea and Cuba, while China and India have been heavily courted for funding and aid assistance. No government or civilization will last forever. When the people realise you are the cause of their misery and hardship, you don’t have much longer. Read about it all in this E-Book! WATCH VIDEO OF PROTEST AGAINST BAINIMARAMA DICTATORSHIP IN WELLINGTON, NEW ZEALAND - 15 MARCH 2013. 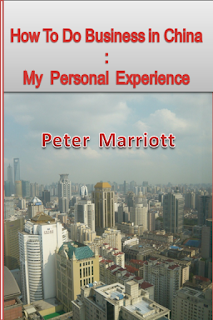 "Doing business in China has been for me, always frustrating, generally unprofitable but curiously enjoyable. Part of this has been the warmth of the Chinese people, but I suspect most of it is due to my own sense of humour, which has been my weapon against low spirits in times of adversity. But the fact remains that China will be the most important economy in the 21st century. Perhaps it will not be the largest (although that seems likely) but it will be the economy that will determine business futures in so many areas. Once that proposition is accepted, it is almost inevitable that business in China ought to be considered. But it will represent a challenge. The starting point of any business challenge is to understand what you are getting yourself into. But this is a “How to” guide, so once that background on China and the Chinese is delivered my intention is to give some pointers on how to do business there or with them. This text is based on my personal experience rather than research or the collected stories of others. Some of the lessons that I have taken on board have been hard learned, at personal cost – always the most indelible rote. " 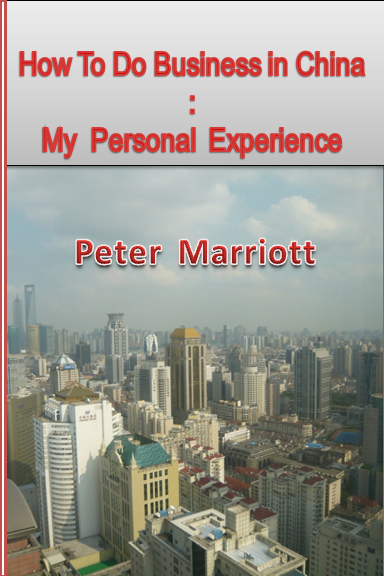 "HOW TO DO BUSINESS IN CHINA"! E-Books for A Wildly Successful Home-Based Internet Business! You've Discovered A Secret Access Page! 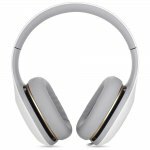 Please Download Your PAID Products Below Worth $329! ...From Search Engine Optimization, Affiliate Marketing, Viral Marketing, Joint Ventures, Blogging, Social Networking And More!... Get The Facts On What It Takes To Start Making Money Online Starting Today! TIME SENSITIVE OFFER! We Normally Charge $47 For Our Guides! Now's Your Chance To Save 329! Sign Up Now To Get Approved! CLICK TO HERE TO GET YOUR COPY NOW! Start marketing, selling and making money with your ebook online! Want To Become A Best-Selling Author But Don't Know Where To Start? Discover The Essential Guide On How To Start Writing Your Book With This Powerful Writing Bible!!! The dream of writing a book and going on to get it published is really appealing to the average person. Even those who don’t consider themselves good writers secretly wish they were. However, even the best writers often find the idea of writing a book intimidating. There are just so many different things to think about that it can be impossible to know were to start. This is why a professionally published author is here to help, with more than 12 years of writing experience. 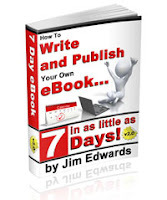 This ebook has everything you need to help you start writing your book. From deciding what type of book you want to write, right through to creating your characters and scheduling your time. As you can see Ready Steady Write is full of relevant information for you to learn before you start writing your book. No matter how many books you have already read there is nothing better than real advice from a published author. Best of all you can grab this fantastic ebook for the amazing price of $27, which I am sure you’ll agree is very reasonable for the information that is on offer!